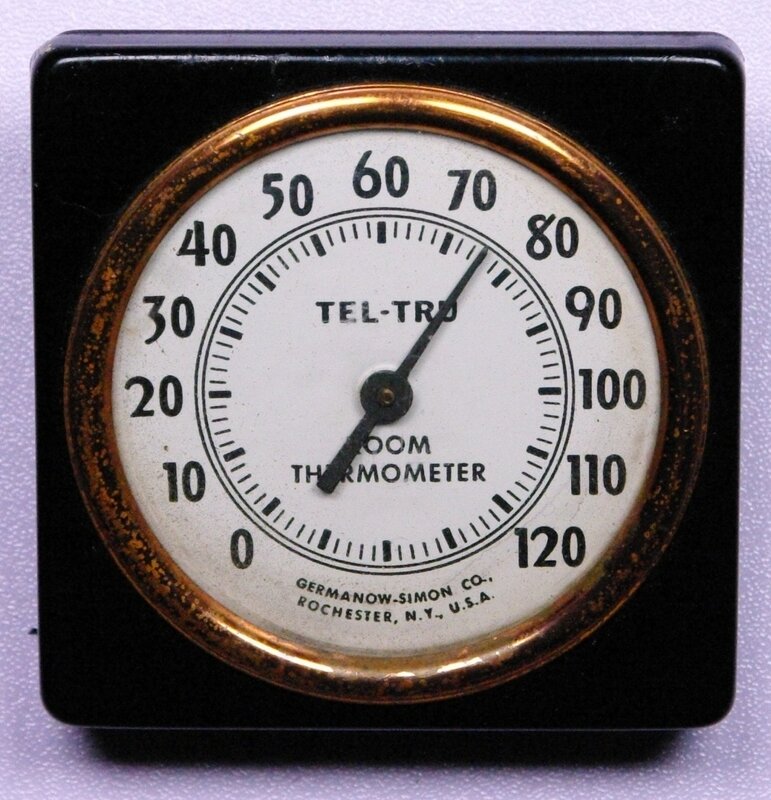 This small Tel-Tru bimetallic room thermometer was made by the Germanow-Simon Company in Rochester, New York. I don't know the date on it. It's tiny, with a 2 inch dial face. It has a metal case. Go to Tel-Tru/Germanow Simon catalog page.